We don’t care if you’re a carnivore, a vegan or somewhere in between. That’s none of our business and this is why we won’t bash your diet (but we will teach you a few things while you’re here). This is a judgment-free zone when it comes to your diet. This post has been a long time coming. Not because we haven’t had the time to write it, but because we needed the time to write it. Time to think about it, marinate on it and allow our own diets or eating styles to evolve to give us more perspective. Basically, we needed time to grow into the idea that there really is no one perfect diet that we can recommend for everyone. That’s right, no one perfect diet. Not Whole30, not paleo, not vegan, not (insert latest diet craze). None of these diets are perfect because they don’t work for everyone. 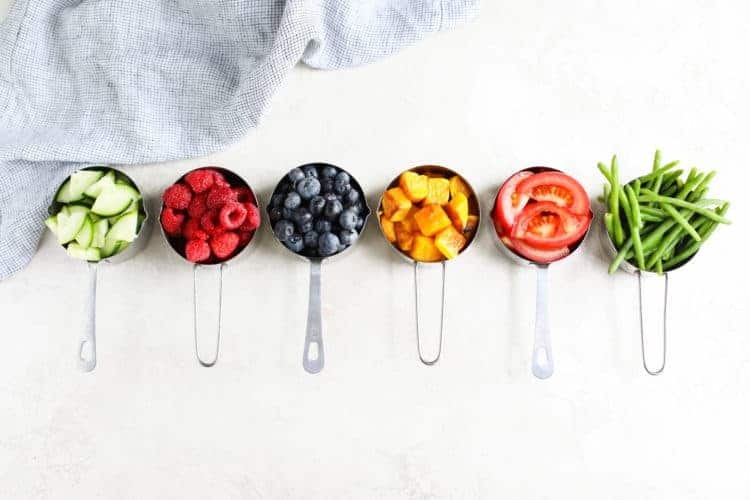 What they are, however, are great starting points for many people moving from the Standard American Diet to a whole food-based diet (or “real food” diet) or those trying to get to the bottom of unpleasant symptoms or are healing from a disease or condition. Take Whole30 for example, which eliminates dairy, grains, corn, soy, sugar, and alcohol for 30 days. In our minds, the best part of this program isn’t what you take away, but how you add it back during the reintroduction phase and what you learn while doing so. After that, the idea is that you take what you learned and forge ahead to create a diet that’s right for you and that allows you to feel your best – however you define that (better sleep, clearer skin, more energy, etc.). The idea isn’t that you stay on the program or return to the program in serial fashion as a way to “undo” a stretch of poor eating or lose weight before your next vacation or a friend’s wedding. Again, please hear us on this one, this type of program isn’t for everyone but if you’ve got a health condition or nagging symptoms that you think may be related to food then this may be a good place for you to start and you can learn more about it here. In the context of this post, the word “diet” = how you choose to eat. Start here but move on to find the diet that truly works best for YOU. These more structured diets are also great starting points for those with health conditions who are looking to use food as a part of their treatment. Take for example paleo or autoimmune paleo (AIP). Both have been instrumental for Jess in healing and eventually achieving remission from her own autoimmune condition. But for anyone who’s ever tried them, they’re not incredibly sustainable from a long-term diet perspective because of all the “rules” about which foods fit and don’t fit (even though they may not be the food that fit your body and make you feel the best). 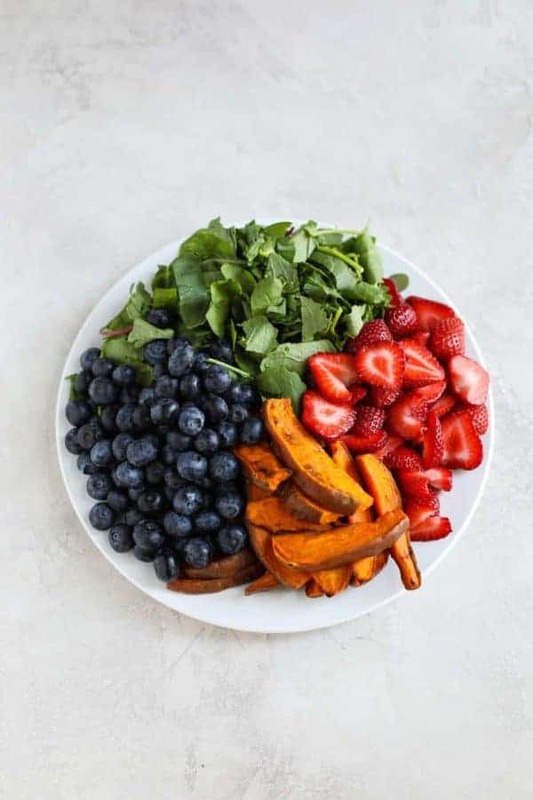 Basically, what we’re saying is that while there are great ways to eat and good programs or diets to help you discover the style of eating that makes you feel and perform your best, whether that be in the gym or in life in general, there is no one perfect diet. What works for us probably won’t work for you. And what works for Stacie doesn’t work for Jess and vice versa. What works for one individual is just that because what’s right for one is not right for everyone. We are all our own being. Listen to your body and choose the foods and types of movement that make you feel your best inside and out. Your diet is your diet and should be suited to you. Through years of trial and error, we’ve both come to the conclusion that there isn’t one perfect diet. And what works for us now may not always work later on and we’ll be forced to adapt while our diet further evolves all with one goal in mind: Eating the most varied and liberal diet that allows each of us to feel our best. For you that might entail adding back some grains or legumes, testing out dairy or eating more (or less) animal products. The only way to know what works best and makes you feel your best is to test (meaning consume a couple of portions of the food in one day), observe (how do you feel?) and make changes based on those outcomes. This is why we won’t bash your diet or anyone else’s for that matter. We’re all doing our best with the knowledge and resources we have. We all have challenges that we need to address and navigate as we are able which when combined with the fact that each of us has a unique genetic makeup, family history, biochemistry (hello, gut microbiome), allergies, sensitivities supports the fact that one diet will not fit all. 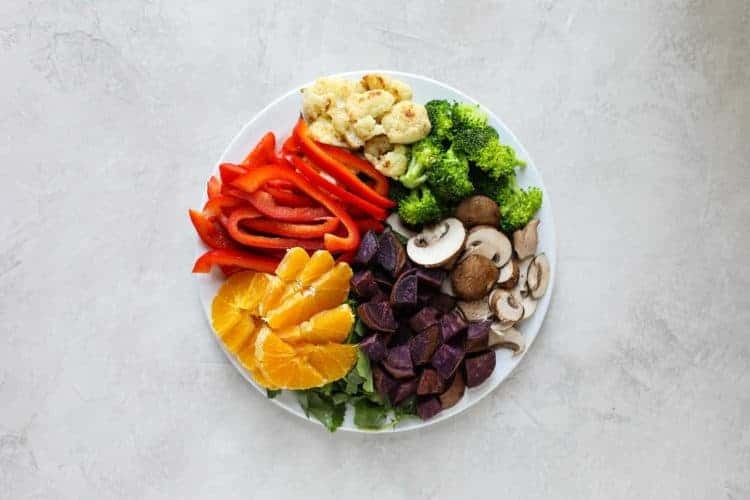 Ultimately, when it comes to food and your diet it’s best to adapt to an eating style that is sustainable, abundant in whole foods, veggie-filled and includes foods you truly enjoy and that make you feel your best inside and out. It’s not about being perfect or having a set of strict food rules. It’s about eating in a way that will help you to achieve optimal health and well-being so that you can live your best life. So, where do you start? You start with real food. You start where you are right now with real food. Don’t’ worry if you don’t have all the answers or don’t understand why “this” is better than “that” because over the next few months we’ll be breaking down what it means to eat a real, whole food diet in our new “Real Food Series.” Each week we’ll cover a new topic such as the benefits of grass-fed meat and dairy (and pastured pork and poultry, too), what it means to eat organic (and why it’s often worth the extra cost), eating in season and sourcing locally, which fats are healthiest, why legumes won’t kill you, the best coffee and chocolate, and so much more. Think of it as your personal, dietitian-guided tour through real food land. With over 30 topics in the series, you’re bound to learn something new, revisit something from the past and hopefully, along the way craft the diet that’s the one perfect diet for you regardless of all the information, misinformation, and “food rules” out there. Consider this your safe space when it comes to diets. 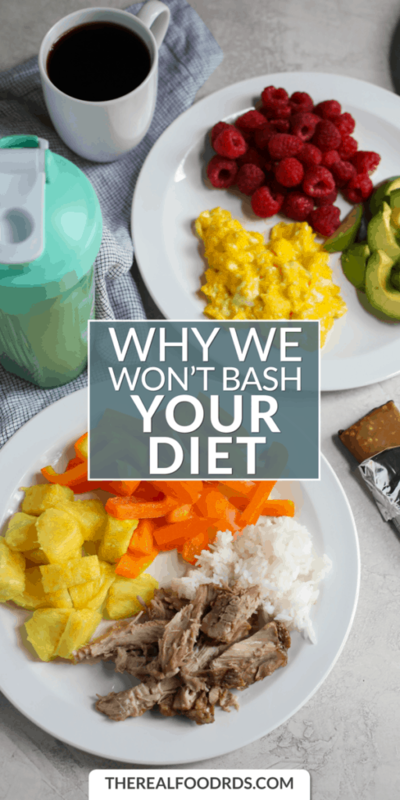 Like we said, no matter what diet you follow or where you are on your own journey to better health, we won’t bash your diet. We will, however, teach you a thing or two about real food to make your journey easier. Now it’s your turn – we’d love to hear your thoughts about this topic (and the upcoming Real Food Series) below in the comments. Doing Lots Of Glute Work? Don’t Neglect Your Adductors!